The Student's Book focuses on a language function―such as requesting information, thanking, complimenting, and inviting―while readings explain the cultural "rules" students need to know to communicate naturally and effectively. Structured exercises, as well as freer role plays, often involve pairs or small groups and encourage interaction in the classroom. 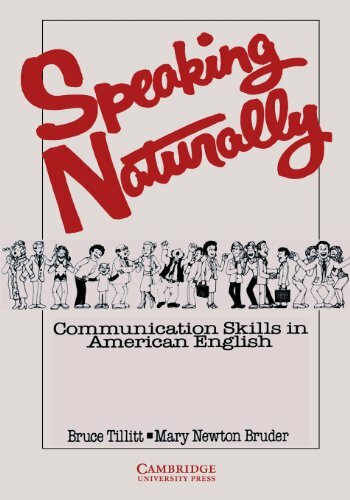 Communication skills in American English. Self-study. The Student's Book focuses on a language function―such as requesting information, thanking, complimenting, and inviting―while readings explain the cultural "rules" students need to know to communicate naturally and effectively. Structured exercises, as well as freer role plays, often involve pairs or small groups and encourage interaction in the classroom.